MAS supports the designation of 826 Broadway, home of the Strand. Landmark status will not only protect the intact 1902 Renaissance Revival façade, but also the world-famous bookstore. Given the level of attention this potential designation has generated, we feel it is imperative to inject some hard facts into the discussion. There is no evidence that landmark designation imposes unreasonable regulatory burdens on any business, especially small business. In fact, cities around the world, from San Francisco to Buenos Aires, use historic preservation and the character it protects to support small businesses. The Landmarks Preservation Commission (LPC) does not prevent owners from making changes to their properties, but instead works with them to ensure that changes are appropriate. The type of permit required and associated costs are determined based on the level of proposed alteration to a property, the cost of the project, and whether or not it requires a permit from the Department of Buildings. Ordinary repairs for a property do not require an owner to go through LPC, but more involved restoration measures such as window or awning replacement require approval through Minor Work permits. Permits for Minor Work (PMW) do not require fees and are responded to within 10 days. Some complex interior alterations may require the LPC to issue a Certificate of No Effect (CNE) to demonstrate that the change will not impact the landmark exterior, like the installation of a new boiler or plumbing equipment. Typically, the LPC will process such a request in less than 10 days. In the case of an Expedited CNE, the turnaround time is even faster. More significant alterations, such as new construction, highly visible rooftop additions, or removal significant architectural features, go before the full Commission for a Certificate of Appropriateness (C of A), and thus have a less predictable timeline through public review. PMW, CNE and C of A processes have 10-day, 30-day, and 90-day mandated response times, respectively, but typical issuance times of permits is much quicker than the regulation requires. In 2018, 82% of PMW were responded and issued within ten business days, 80% of CNE were issued within ten business days, and 96% of Expedited CNE were issued within two business days. [i] LPC works diligently to ensure that proposed alterations are responded to within a timely manner. The fees associated with major alterations of a landmark are consistent with the cost of the proposed work, and required only when a permit from the Department of Buildings is necessary: a fee of $95 dollars is required for the first $25,000 of work, and a $5 fee is required for every $1,000 of work above the initial $25,000. For example, a project with a $1 million budget pays $290 in fees. As such, permit fees are minimal in comparison to the alteration expense. The New York State Commercial Rehabilitation Tax Credit Program and the Federal Historic Preservation Tax Incentive Program each offer up to a 20% tax credit for the rehabilitation of income-producing properties listed on the State and National Register of Historic Places under qualified work. If a listed property meets all requirements, it can be eligible for up to a 40% tax credit with both the NY State and Federal programs combined. The NY State program requires properties to be located within a federal census tract at or below the State Family Median Income level. (While 862 Broadway does not qualify for the State program, it can still receive the 20% Federal tax credit to help offset rehabilitation costs.) Additionally, grants for repairs and construction costs are available through the Landmarks Preservation Commission Historic Preservation Grant Program, the National Trust Preservation Fund, National Park Service Historic Preservation Easements Tax Benefits, and the New York Landmarks Conservancy. Everyday rehabilitation and associated fees are ultimately minimal in cost, especially when compared with the loss of a significant building and business. 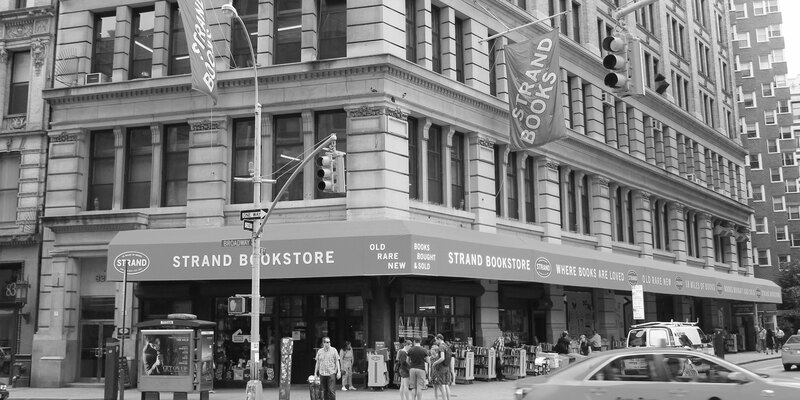 The Strand is a cultural icon for New York City, renowned worldwide. No doubt that recognition is a result of the careful stewardship of the Bass family. Indeed, if any small business merits the protection offered by landmark designation, it’s the Strand. Thus MAS supports the designation of 826 Broadway as a New York City landmark in order to preserve the historic, architectural, and cultural significance of the building, the Union Square neighborhood, and the Strand.